By hosting an International Overdose Awareness Day activity you are joining thousands of people from around the world to raise overdose awareness and reduce stigma. Please share your activity below. Don’t forget to view our Event Organiser Support Kit to help you organise your activity and check out the Resources Section to view handy tools, tips and downloads. Have you previously hosted an activity for IOAD? You can add a web address such as a Facebook page for your event. 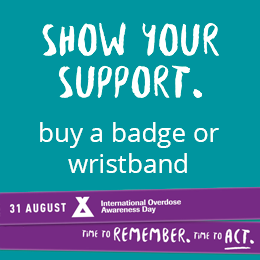 Penington Institute is collecting your information on this page for the primary purpose of promoting your event, staying connected with you and keeping you aware of activities of interest to you about International Overdose Awareness Day. For this purpose Penington Institute may securely provide your contact details to its service providers including MailChimp and Google Analytics. International Overdose Awareness Day is an opportunity to remember loved ones lost to overdose. Our message is simple – the tragedy of overdose death is preventable and more must be done to save lives. Support our work today.